We were in the middle of a heatwave in Europe recently. And while I do love the summer and some sunshine-y days, the extremely high temperature is just something else. We were all exhausted and spent despite minimal physical activity, and there was a restlessness disguised as a cloud hanging over our heads making every task (little and not so little) such a boulder to climb. It was indeed a tough week. And for some, there are more boulders to climb with a ton of unimaginable weight to lug. Sometimes physical pain is easier to conquer and overcome. There are more concrete ways to follow, clearer steps to take. Change your diet. Do more exercise. Take some vitamines and even medicine if you have to. I wish it would be equally apparent to overcome other forms of pain, but sadly, there are no magic potions for those. Perhaps the only thing we can do is spread the love and do something good for somebody in hopes that their pain will go away – even for a petit moment. So I challenge you, show up and do something nice for the people around you today. I think it will take your mind off the heat, and it will do your heart and somebody’s a whole lot of good. How do we even start? I’m sure you have creative ideas to do so. 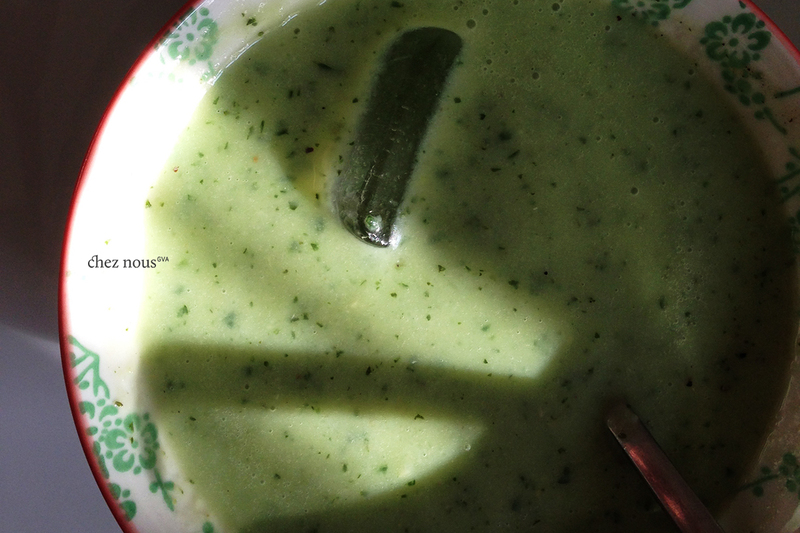 Let me throw you one which will benefit your body and soul: Chilled cucumber avocado soup. Whip up this simple and yummy dinner for your partner, your family or for a friend. Go on. Cool off your head and make this simple ice-cold soup. Blend all ingredients together. You can adjust the taste by seasoning it with a bit more salt and adding some more lemon juice. Make sure you keep the soup chilled. ← Be Sage. A chèvre and eggs breakfast.